Chess is not a game of luck or fluke. It is a serious mental game that requires lots of planning, patience and mental skill. You will surely lose the game if you make a move without any thought. There are no cheap tricks to master this game. You have to learn rules thoroughly before you start playing the game. In this article, we will not teach you the tricks but the genuine tips, which can really help to improve your game. 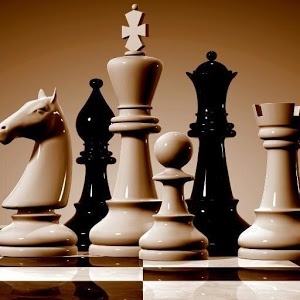 There are many opening systems in the game of chess. It is important for a beginner to know the different opening system so that you can start the move according to the opponent. Making the opening move without any planning or knowledge cannot bring you victory, especially if the opponent is bi skilled. You should use your X-ray vision when playing the game. X-ray vision is an analogy to see the things that are hidden and cannot be seen with naked eye. Using X-ray vision in the game of chess refers to the ability to see the hidden traps made by your opponent. Missing the hidden trap could lead to the loss of your piece, or even get checkmated. You should never be overconfident, even when you are playing with an utter novice. These sense of overconfident or arrogance will surely black out your mind and eventually make your loss your pieces and the game. Your mind should be on the guard till you finish the game. Even the slightest mistake can cost the game dearly anytime. So, you should never give rest to your mind till the game is over. You should have the attitude of a fighter when playing the chess. You should never lose the confidence at any point of time, even if you have lost some of the pieces. Making the moves with lack of confidence or half-heartedly will strengthen the opponent. Keep in mind that you always have some opportunity as the opponent too can make some costly mistake. Staying confident like a fighter will surely help you win the game, or at least go for a draw rather than losing. It is must to avoid getting into the time-trouble as it will paralyze your mind. If you are someone, who frequently get into time-trouble, then you should prepare your opening move and make the first 12-15 moves in few minutes. You should never allow your mind occupied by the fear when you are playing with the strong opponent. You should know that fear can significantly diminish your mental capability during the game. Having fear in mind is not going to help you anyway. So there is no need to fear, always face the strong opponent with confidence. You should not feel sad about the missed opportunities. Keep on thinking about the missed opportunities will surely make you go out of the concentration on the game. So, you should keep on moving and make sure that you don’t commit the same mistake again. By following the above tips, you would surely play the game better.